‘Fair Deal crisis has escalated to point older people are waiting almost 3 months for a bed in a nursing home, overcrowding has reached levels never seen before and waiting lists have spiralled out of all control. he once again gave a running commentary about the problems within the system, without proposing any concrete plans to fix them. 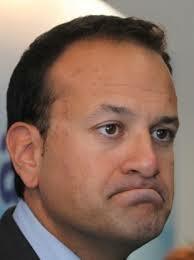 Senator Mac Sharry stated, “It’s becoming ever more obvious that Minister Varadkar is more content sitting back and giving a running commentary on the health service, rather than setting about addressing the issues and finding solutions to fix the problems. “Since being appointed as Health Minister last summer, Leo Vardakar has found himself lurching from one crisis to the next, all the while telling the public that the situation will get worse before it gets better. It is completely unacceptable for a Minister to shirk his responsibilities in this way, when he is the very person who can implement the changes needed. 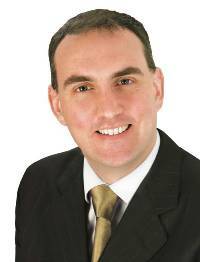 Speaking during a Fianna Fáil Private Members motion on health in the Seanad, Senator Mac Sharry called on the Minister to come up with more imaginative solutions to deal with the problems facing him. discharges for ill, elderly and disabled people, while also helping to alleviate the exceptionally high waiting lists for the Fair Deal scheme. The crisis demands initiative and innovation. The ‘worse before better’ rhetoric is an abdication of responsibility. “We need to see less spin and more action from Minister Varadkar. It is increasingly clear that his main goal is to get to the next General Election without rocking the boat. This is not an acceptable position; it is a total betrayal of the voters who were promised positive change in the health system”.